Because I want to see healthy, happy, and energized people, I urge everyone who cares about their and their family’s health to avoid these foods as much as possible or look for their organic varieties. They are: sugar, corn, soy and wheat. They are the most polluted foods in the American diet, polluted with the most commonly used herbicide – Glyphosate, the active ingredient in Roundup®. This stuff interferes with your body’s enzymes and impairs their function for a healthy metabolism and homeostasis. It also messes with your gut flora in your digestive tract, the good bacteria, which comprise about 70% of your immune system! So, is one meal going to mess you up? No, one meal will not. However, if it is one meal a day as opposed to one meal a month, then that will add up quickly and lead to long term damage. You wake up and all of a sudden, BOOM, you have a disease, right? And we wonder – well, where did it come from? It came from a combination of factors, of course! I am not going to blame Monsanto for all of the world’s troubles. However, it is a BIG part and in combination with everything else, this kind of internal stress is not to be underplayed. So we go to the doctor and we get a pill, but it fixes “nothing”. It may look like it is fixing something on the surface, but it is simply abating some of your symptoms while contributing to more long term damage. Our poor liver! Oy vey! SO much work… we tax it, day in and day out. 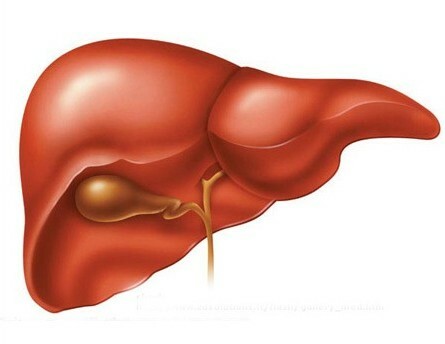 Our dear friend, liver, get so tired. A tired liver is a sluggish you. Well, it is about time you both get some love. Get ready for a late spring liver cleanse. Spring is a great time of year to cleanse your liver. Start by getting you tush into a yoga class and request some twists to wring out that liver, get some toxins and stagnation out and fresh prana in there. Perfect! Stay tuned, I am going to be co-leading a liver cleanse at the end of May with my dear friend and colleague Abigail Thurston. In the meanwhile, start your gears turning, start thinking of how you can begin to love your liver. Perhaps one less drink this weekend? You will be the first to know when we open registration for the cleanse. Did you catch EWG’s 2013 report? Environmental Working Group, produces a report every year on what to steer clear of, the Dirty Dozen, and the Clean Fifteen, stuff to not worry about spending your extra money on for organic. So here is their 2013 Report.